This is a free phone call where you can ask your questions or learn from other people's questions, comments and sharings. The group size is limited, so you have to guarantee your reservation. Swamiji won't be talking about asanas (poses), physical conditions or about teaching yoga classes. She's happy to help with anything about your meditation or your life - helping you with outside and inside! FIRST - enroll for your Satsangi Membership at only $1.00. 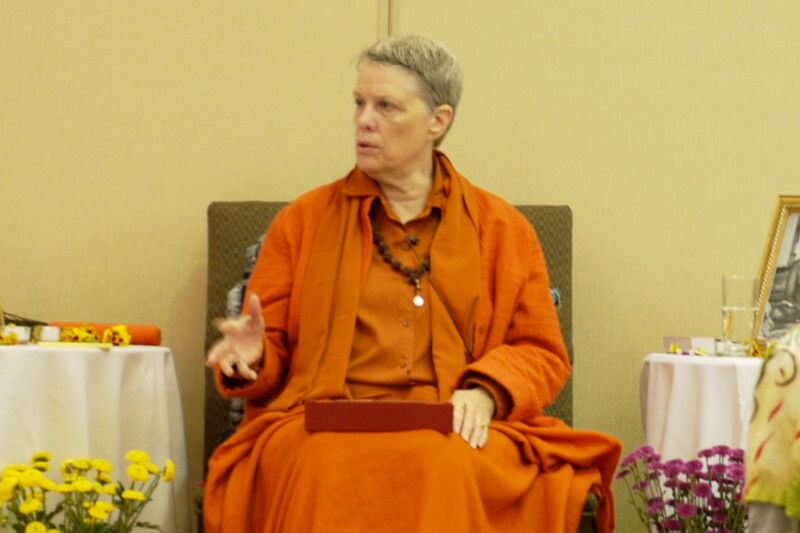 SECOND - once you enroll, sign up for these free conference phone calls with Swamiji. If you register and then do not attend, you will be charged $25.00 - this is to make sure that you don't inadvertently block someone else from registering. You can cancel in advance (24 hours or more) without charge. When you register online, you will get the phone number and conference code for your FREE group phone call with Swamiji. Please call us at 610.644.7555 if you have any questions.